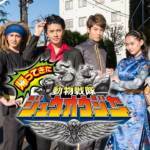 Dobutsu Sentai Zyuohger Returns Teaser Trailer Online! A brief teaser trailer for the upcoming Returns Movie featuring Dobutsu Sentai Zyuohger has been posted online! Set in a near future when the Zyumans are co-existing peacefully with humanity, the Zyuohgers are called to battle once again to determine who shall truly rule Planet Earth. Give Me Your Life! The Great Rule Of The Earth Battle will be released on DVD & Blu Ray on June 28, 2017! Dobutsu Sentai Zyuohger VS Shuriken Sentai Ninninger Teaser Trailer Online! The first teaser trailer has been uploaded for the upcoming Super Sentai crossover film, Doubutsu Sentai Zyuohger vs. Ninninger The Movie: Message From The Future Super Sentai! The Shuriken Sentai are convinced the Zyuman are actually Yokai and launch an attack against the team! A powerful new Dethgalien know as Gilmarda is apparently behind this, using both teams to manipulate his own agenda. And just who is the mysterious Yoshiharu. reaching across time & space to save the Super Sentai??? Zyuohger VS Ninninger will be released in theaters on January 14, 2017! Feel free to join in our Ongoing Discussion Thread to share your thoughts & fears about this exciting crossover! 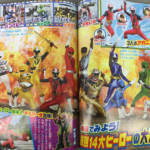 Dobutsu Sentai Zyuohger December Scans Online- The Beginning Of The End! The 40th Super Sentai Series may be winding down, but there’s still several adventures ahead for the Dobutsu Sentai Zyuohger! *To aid in the final battle, ZyuohBird reveals his personal arsenal of Cube Animals– Cube Giraffe, Cube Owl, Cube Jaguar and Cube Platypus! Definitely some exciting times in the final stage of Zyuohger! 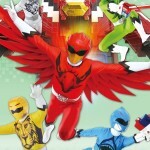 Stay tuned to TokuNation as we keep you up to date on all Super Sentai news. 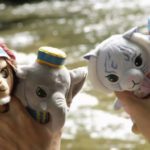 Dobutsu Sentai Zyuohger: Super Animal Wars Mini-Series Revealed! Toei’s official YouTube channel has put up a short preview for a collection of special Dobutsu Sentai Zyuohger episodes to be included on the series’ Blu-Ray releases! The Super Animal Wars will feature the Zyuohger team meeting the spirit of Super Sentai- AkaRed! The goal of this mini-series will be to educate the Zyuohgers about the Super Sentai legacy. The first piece of this four-episode mini-series will be released in September 2016! 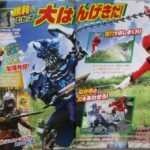 New Dobutsu Sentai Zyuohger Magazine Scans Online! 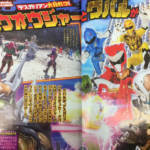 The latest round of magazine scans has provided us a glimpse into the future adventures of Dobutsu Sentai Zyuohger! A NEW warrior will be joining the Dethgaliens in the Blood Game– a mysterious new figure named Bangley, the Giant Beast Hunter! In addition, the enigmatic Birdman who stole the last Champion Symbol will return once again, sporting his own army of Cube Animals- specifically, Cube Owl, Cube Zebra, Cube Panther and Cube Platypus! 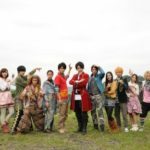 Definitely some exciting times ahead for the 40th Super Sentai Series! At Tokyo Toy Show last month, we saw a new set of plush dolls based on the four Zyuman heroes from Dobutsu Sentai Zyuohger. Now, new official images of these items have been posted online– confirming the price and release date for these items! The Zyuman plush dolls- officially named the Atsumare! Zyuman Series will be released on July 30, 2016. Each doll will cost a mere 1620 Yen before shipping and handling! Consult your preferred Super Sentai retailer if you are interested in adding this series to your collection. 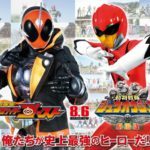 Kamen Rider Ghost & Dobutsu Sentai Zyuohger Summer Movie Teaser Trailers Online! Toei has put up a special double-trailer for this years’ Super Sentai and Kamen Rider double feature! *Takeru faces off against two new Riders- Kamen Rider Dark Ghost and Kamen Rider Zero Specter in a village full of historical characters in Kamen Rider Ghost: The 100 Eyecons & Ghosts’ Fated Moment! *Meanwhile, Yamato and the Zyuman are confronted by the Space Circus Troupe in Dobutsu Sentai Zyuohger The Movie: Doki Doki Circus Panic! Both films will be released in theaters on August 6, 2016! New Dobutsu Sentai Zyuohger Magazine Scans Online- Featuring Cube Mogura & Wild Zyuoh King! A new round of magazine scans has hit the Internet, giving us a look at the future of Dobutsu Sentai Zyuohger! *The next piece of the Zyuoghers’ arsenal is Cube Mogura! A purple mole Mecha with a drill weapon that can pierce Deathgalien armor. 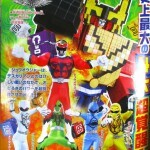 *By uniting all 8 Cubes, the Zyuoghers can form Wild Zyuoh King! This is the strongest fusion of Animal Instincts yet! *We also get our first look at the still-unnamed Eagle Zyuman who first gave Yamato the Champions’ Symbol. In his human form, Eagle is played by Kohei Murakami, who fans may recognize as Kamen Rider Kaixa. Definitely some exciting adventures ahead for the 40th Super Sentai Series! Stay tuned to TokuNation as we keep you up to date on all Zyuogher news!